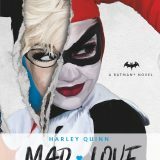 DC Comics Novels – Harley Quinn: Mad Love takes it back to where it all began. Inspired by the 1994 graphic novel, Mad Love, and featuring Harley as she first appeared in 1992’s Batman: The Animated Series, the novel explores how the events witnessed one night by a young seven-year-old Harleen Quinzel would, years later, change the course of her life forever. Years later, Harleen has put her past behind her and used her intelligence to win a career in psychiatry. Assigned to the infamous Arkham asylum, there she discovers someone who brings out the very worst in her. Why settle for love when you can have mad love? This is the definitive story that chronicles the obsession, the burning desire, the manic laughter, and the birth of one of the most controversial and popular comic book DC super-villains ever created: Harley Quinn. Written by Arthur C. Clarke and Hugo Award-winning author Pat Cadigan and Paul Dini—writer of the Batman animated series scripts—this brand new novel delivers everything a fan would wish for. In the best tradition of Batman, Pat Cadigan’s Harley is a fixated heroine who is only ever comfortable when the lights go out and the masks go on. Written in an accessible, pacy style, with lots of love and attention given to the source material, Mad Love is a five-star read that promises great things for Titan Book’s brand new DC Comics range. In fact, this is the second standalone novel, following September’s publication of Batman: The Killing Joke, and ahead of February’s Batman: The Court Of Owls. With new Joker and Harley Quinn standalone films out in 2019, Mad Love is the perfect way to get the backstory on the infamous duo who brought added crazy to the whole Romeo and Juliet vibe. 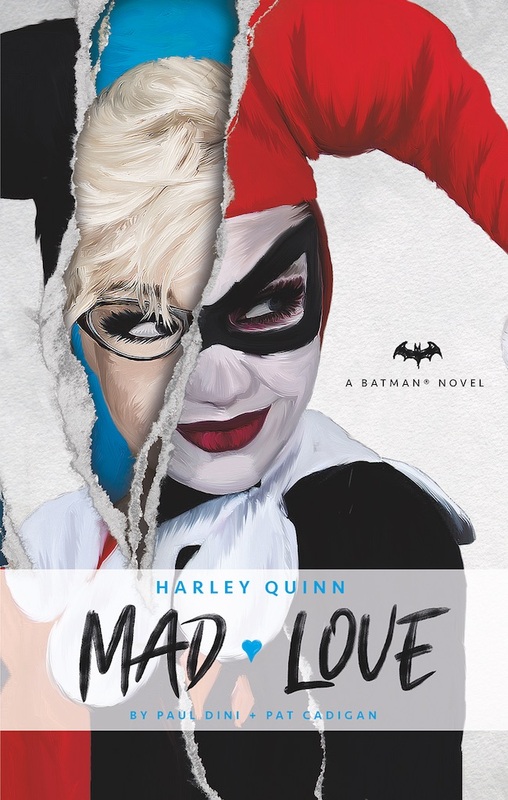 Harley Quinn: Mad Love is available in hardback and e-book from 13th November.